For many people it may seem strange that as a Buddhist priest I would work with astrology, because astrology is often condemned as irrational and mere superstitious nonsense, whereas Buddhism is a highly respected philosophy and religious institution based firmly on sound rational principles. Certainly in other religions, such as mainstream institutional Christianity, it would be considered heretical for a priest or minister to work with astrology. However, although there also some conservative Buddhist priests in Japan who view astrology with scepticism, my own venerable teachers have embraced astrology as useful tool in helping people to overcome their suffering and to live a life free from fear and anxiety. Their use of astrology is in no way a departure from their roles as Buddhist priests, or as some kind of side practice outside of their normal Buddhist practices; in fact, astrology sits very comfortably within Buddhist doctrine and practice. Most important is the idea of upaya, meaning “expedient means” or “effective way”, which is a concept that is central to my role as a Buddhist priest: it comes from the Way of the Bodhisattva, whereby a teacher must find the right “language” with which to teach the way out of suffering and into awakening. “Language” in this sense means using a system of signs and words and practices that a fellow pilgrim will be able to understand and apply to their own lives. That is, what if you came to see me at Wabi’an to talk about your spiritual path, using English as our language of communication, and then I answered you in Japanese? Even if what I had to share might really help you on your path, speaking to you in a language you couldn’t understand would be a worthless and unskilful reply. There needs to be a translation for us to be able to communicate and be on the same page. My work as a Buddhist priest, committed to passing on the wisdom of my teachers to you, requires finding the right tools, the right translation ‘software’ to share this important knowledge. So astrology can be seen as a particular kind of “language” that can be used as an effective tool in offering the keys to enlightenment. It is upaya in action. 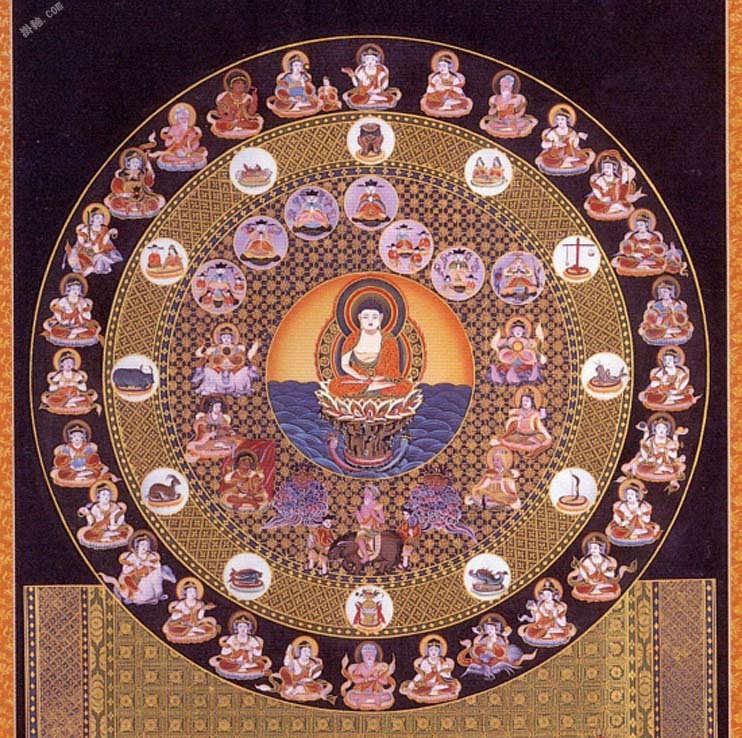 Furthermore, in Esoteric Buddhism, everything in the cosmos is seen as a manifestation of enlightenment and whatever aspect of the cosmos a person chooses to venerate or as a focus of their meditation reflects qualities and energies within themselves. For example, venerating Kuan Yin as the deity of compassion and love, is honouring our own capacity for compassion and love that we want to draw into our own lives to help guide us towards enlightened happiness. So in focussing our spiritual attention on the stars, from whose stardust we are literally composed, we are bringing that cosmic energy into our own consciousness in order to expand our awareness out beyond this tiny object called “me,” into a recognition of our connectedness with all the universe. Every single object and element in the cosmos is an embodiment of Buddha, the awakened mind. So, for me, regardless of arguments about the ‘truth’ of astrology, I find it fascinating to work with and also deeply respect the wisdom of those sages who compiled these methods over many hundreds of years during a time when humans were generally much more in tune with the energetic physiology of the cosmos and in harmony with nature. I want to help you to find that harmony in your own life, so I incorporate astrology into my own practice and in personal consultations. 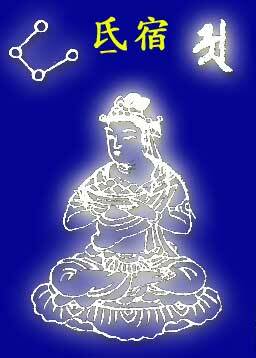 I hope you too find some resonant symbols in Buddhist Astrology. This entry was posted in Buddhism, Inspiration, Spirituality and tagged astrology. Bookmark the permalink. 2 Responses to Why Astrology? Somehow, some way, I will find the courage to drive to Wabi’an and bless myself with your knowledge of Astrology and your wisdom. I know it will be a balm to my heart. I recently had my ‘in-depth’ chart done by London Astrologer Jonathan Cainer. It was so hilarious (even the ‘bad’ bits 🙂 that I sat here laughing for about an hour. Wonderful except it did’nt shed much light on…anything really. By the time I’d finished I was aware that I was ‘a bit of a strange and complex character’… ‘so powerful that I could leap buildings with a single bound’, ‘so beautiful that people just gasped when I entered a room’ and… ‘capable of creating my own Religion’ !!! Hilarious. One thing he did say though was that I lived for beauty in every form and yet was willing to look at the ‘reality’ of life that most people shy from. The secret hidden yukky bits we all live with and mostly deny. So I am excited to think that I will soon see/hear your wisdom in a different form of Astrology.